I wanted to make a lower calorie version of the dish, but one that would work as a main meal without bread which I find can make me feel a little bloated. And, having tried the recipe once, there were a few things I thought I might change and try out to make a version that would work as a 5:2 diet recipe. 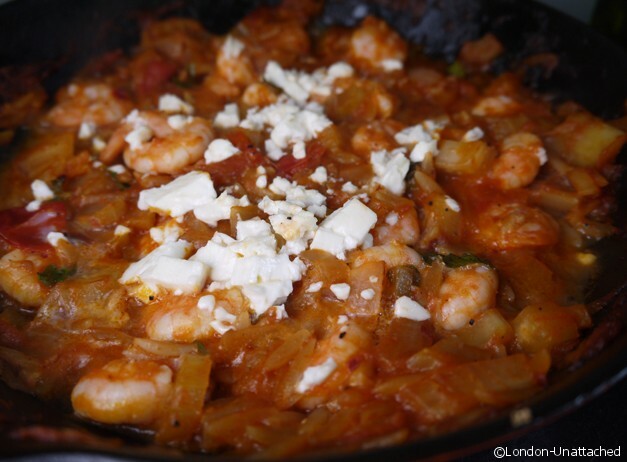 So, I cut down the amount of olive oil, added in a little chilli and some fresh tomato and celery and used low fat feta, as well as a tiny amount of orzo – a kind of pasta that looks like rice. While it might not be a very authentic version of the recipe, it DID save calories. Adding in chilli was partly for flavour but partly because chilli is thermogenic and will help raise your metabolic rate (and hopefully burn more calories). Add the orzo, passata, chopped tomato and chilli and tomato paste and reduce down by about a third. Add in the wine or water and half of the herbs. Continue to cook for 2-3 minutes, stirring constantly. Add in the prawns and a little extra water if necessary. Keep stirring to ensure the pasta doesn't stick and cook for 5 minutes or so. 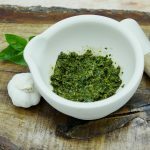 Season with fresh pepper and salt as necessary and serve garnished with the remaining herbs. I’ve been travelling, enjoying myself at Wimbledon and Henley and generally not able to follow the 5:2 diet for the last few weeks. And I am genuinely happy to have enough time now to start again. I made the ‘full fat’ version of this recipe a few days ago using the ingredients and recipe card that came in my Kitchen Nomad box, but I wanted to see if I could do a version that would work for the diet. For the most part, it is quite easy to cut the calories without losing flavour. I’ve added a little chilli paste, some sun-dried tomatoes and some celery to compensate for cutting down the calorific olive oil. And, instead of serving the dish with bread, I’ve added in just a little pasta because it’s a more controllable way to include some carbohydrates at least for me. If I have a lovely soft and crusty loaf of bread in front of me, I WILL eat too much. The result? A dish with all the flavour and less than 300 calories. Perfect for the 5:2 diet or any other low-calorie diet. Looks delicious! I love how you’re able to modify all these recipes to fit within your diet. Yes, the chillies are very important as for the reason you mentioned. 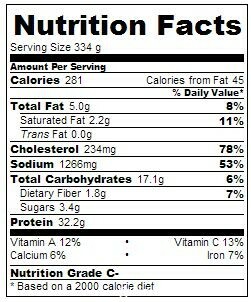 I always knew, it was important to eat lots of them. 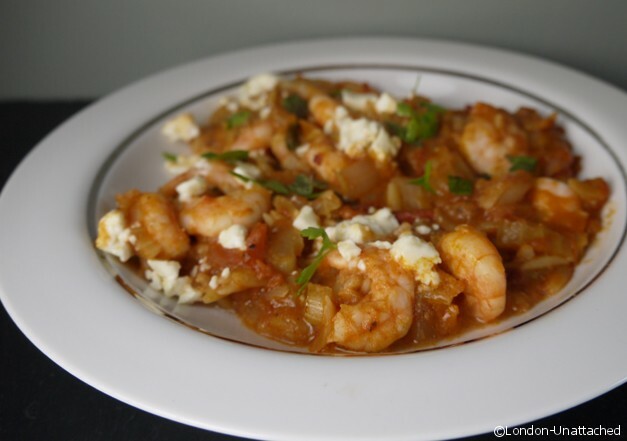 The prawns with feta look very delicious and … due to the stated ingredients it is … very mouth-watering to me. Looks pretty awesome Fiona.. I just don’t know how you manage all that traveling and going out to such fab restaurants and then go home and cook…. I couldn’t do it. Sounds very good, I haven’t tried the orzo yet am looking forward to it. it’s easier than adding rice into this sort of dish. I’m planning a lamb dish with it.